We are a family owned company serving the Denver Metro Area for over three generations. 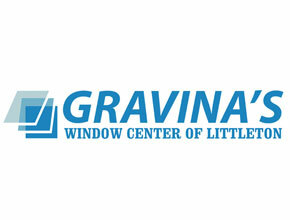 Gravina's Window Center of Littleton is a well-established company continually recognized for outstanding service in window and door replacements. Here at Gravina's Window Center of Littleton, we understand exactly how your window and door replacement needs will affect the comfort level of your home for years to come. Our top priority is for your window replacement project to go as smoothly as possible. Oct 11 2017 Very Good! Our installers were excellent. The lead and scholar was so nice and gave a lot of helpful tips. Aug 07 2017 This is the third time, second house, that we have used Gravina's windows. The windows are great. The installation was great. I just wish it wouldn't take so long to get the windows after you order them. May 27 2017 We have been using Gravina's for the past 10 years. We have had them out 3 times to replace various window throughout out home. They have always been very polite and explain what they are doing and why it matters to do it right. They will be the only window company I ever use and Marvin Infinety is the only window I know will keep my house comfortable. Thank you Gravina's for always being honest and doing a fantastic job. May 26 2017 I've ordered windows from Gravina's twice and absolutely love my windows! While the installers can be hit or miss, Gravina's Window Center has always stood behind their workmanship. They follow-up and follow through. I am a customer for life! Apr 21 2017 Gravinas installed windows and doors in my new home. They provided a quality product, installed them in a day and a half and cleaned up after themselves. Good job all around! Apr 08 2017 Our job went great! Mike and Justin handled the order. The job was done well with attention to doing it right and to my liking. Gravina’s replaced 15 windows on one side of my house and did a terrific job, so I hired them to replace the siding next. Please help us by taking a couple of minutes to tell us about your experience. If you want to be anonymous you can just put in your initials on the "Your name" field. Type your reply on the comment field below and click Submit once done. Get A Free Case Evaluation Now!